The fact that no one else ever looked into this previously to check backlinks, and actually vet the claims is pure negligence. 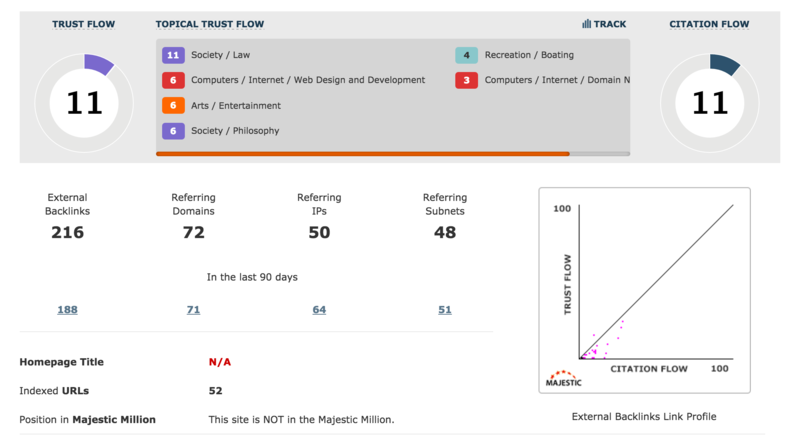 Essentially, it appears the positive results came from what we’ve known to work in SEO for years now… lots of unique, quality content, and building backlinks to that content. To suggest that a domain name could trump those variables flies in the face of everything we know about SEO. The truth is that there is no easy, quick way to game Google into ranking your site overnight. And if a way does appear, it won’t last. Time and time again, the most reliable way to build traffic and consistently generate new clients is to develop quality content that provides value to your clients before they even talk to you… that’s what Google wants. 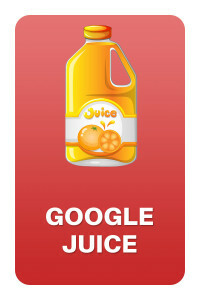 And when Google gets what it wants, you’ll get that traffic you want. It’s not easy… it’s time consuming and it takes work. But it is pretty simple I think. Basically, the more value you can provide, and the better experience you can offer visitors, the more Google will like and reward you. Without doing any of that, a top level domain will do jack, as you illustrated so well above. Excellent stuff as usual guys! 🙂 – Jon nice to hear from you…. and I believe, happy birthday. Globerunner = Sellouts. 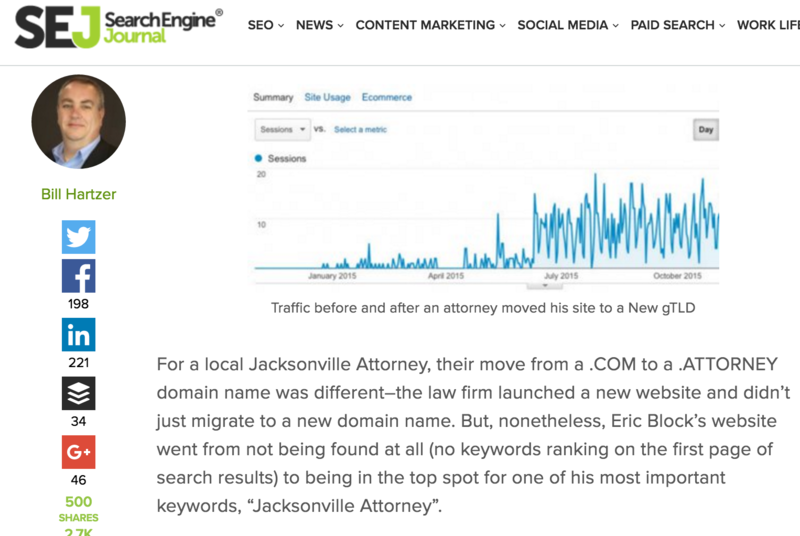 Come on guys, you know perfectly well the uptick in rankings & traffic are completely due to the recoding, fresh content & most of all, the new backlinks and has very little, if anything to do with the .attorney domain name. 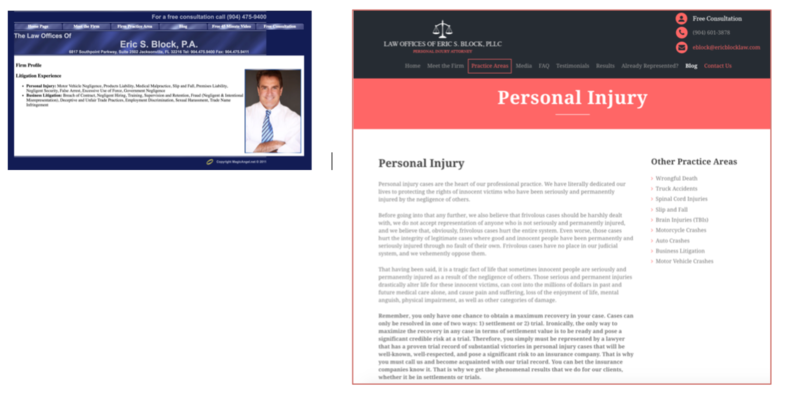 No doubt, this Rightside, has secured some great .attorney and .law names and is extorting attorneys into paying ridiculous amounts of money for these domains. They should be ashamed of themselves and so should Globerunner for writing up this case study in the way that they did. Or maybe they don’t know better and they are just another subpar SEO company. There are only a few exceptions to needing to change your domain name, and this does not sound like it was one of those. He gave up his branded domain for a generic one. You are much better off purchasing your own name and building your brand than wasting thousands of dollars on one of these domains. If you can’t get it at the standard price, don’t bother. I wanted to say, this rebuttal was really well done. I saw the SEL report a while back and thought it was garbage, but this actually backs that opinion up quite well. 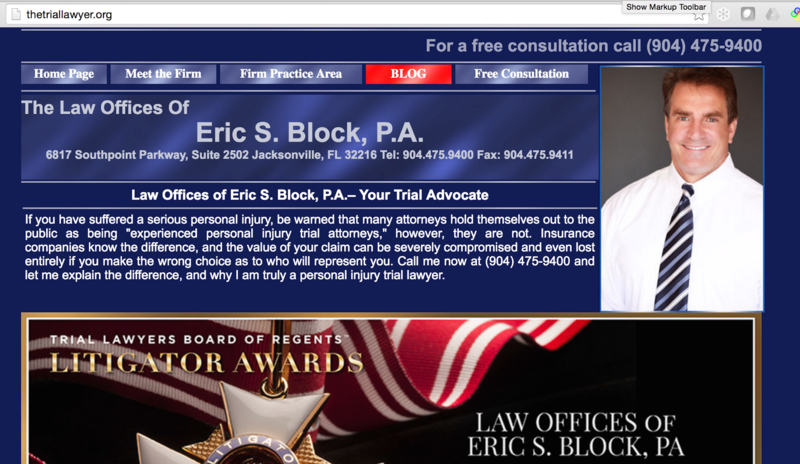 The tiny traffic screenshots alone were ridiculous to support a wild claim like .attorney would bring a boost. I appreciate you taking the time to look back at past site versions too; the duplicate content issue was definitely a major point to make. 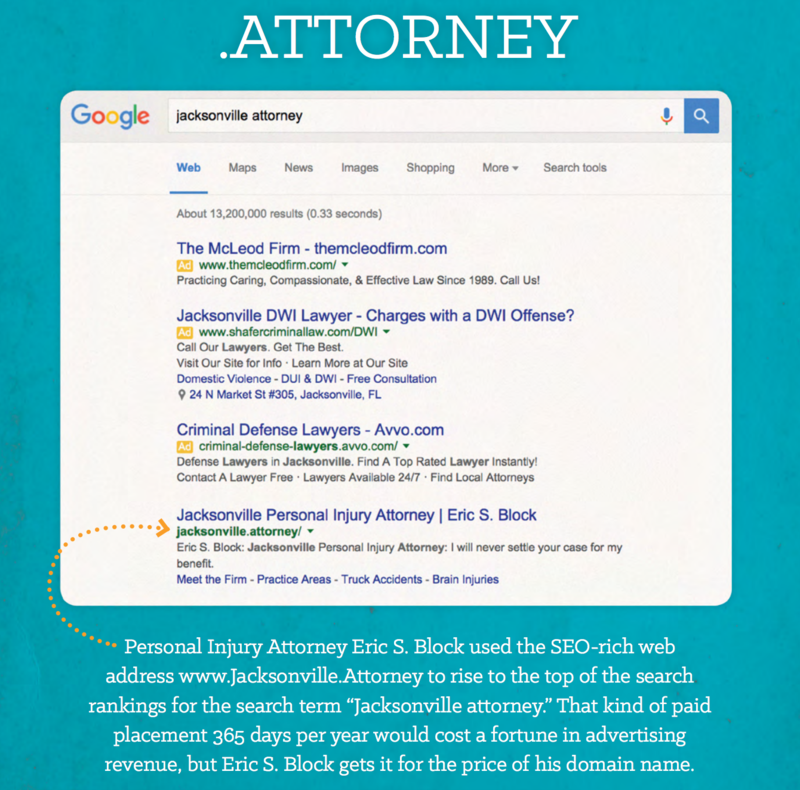 I don’t specifically work with lawyers, so I haven’t seen how widespread this scam is (the TLD promise). I can definitely see this abuse happening in more industries as time goes on. 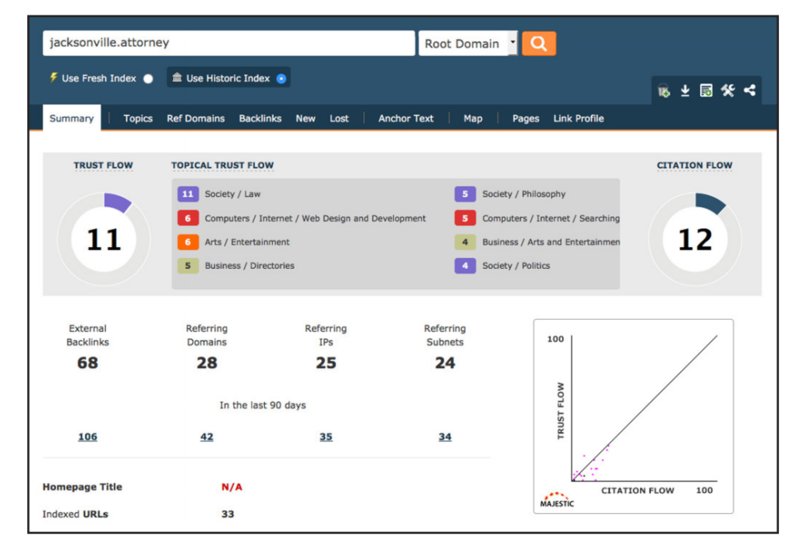 As more TLDs come out, the more we’ll see insane “ranking boost” claims. The domain should be created to support your brand first and foremost. Nice job with this! I found this via the Local Search Forum. Check out the discussion around this topic.